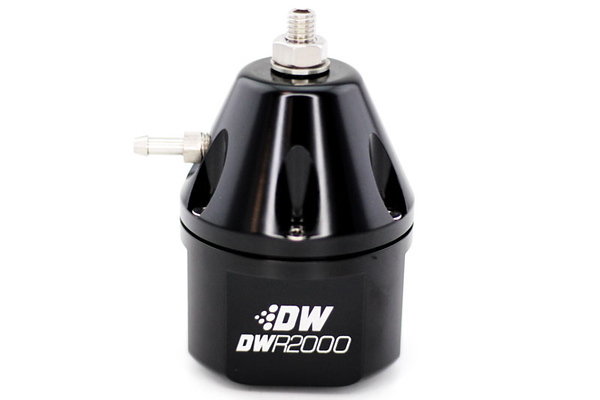 DeatschWerks is announcing an addition to their Adjustable Fuel Pressure Regulator line, the DWR2000. In the spring of 2016 DW released the DWR1000 adjustable fuel pressure regulator, combining the best aspects of existing regulators on the market and adding improvements in materials and design to culminate in the best all-around regulator on the market today. The DWR1000, which supports up to 1000 HP builds, has been a huge success and proven to be popular in multiple automotive segments, but there is one bit of feedback that could not be ignored. Consumers wanted it to support even more power. So the DWR2000 was born. 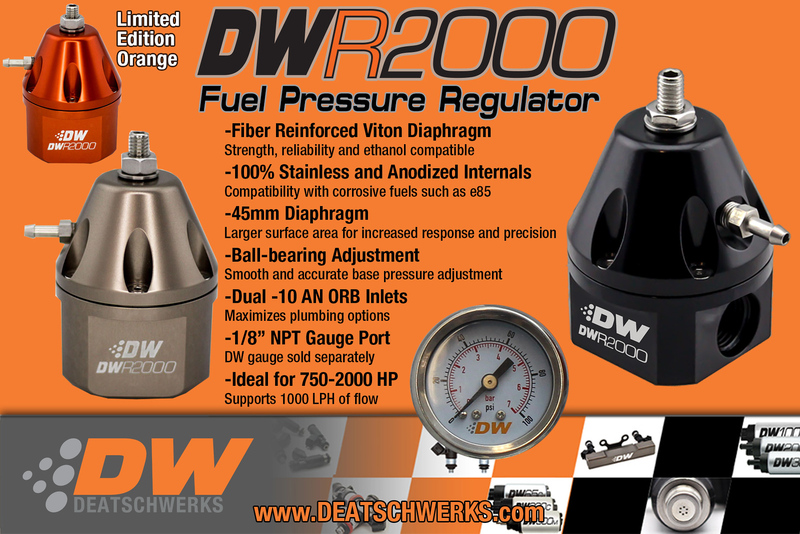 The DWR2000, just like the DWR1000, is designed from the ground up with e85 in mind and is constructed with 100% e85 compatible materials such as stainless steel, anodized aluminum, and nitrile, unlike many popular regulators on the market today that contain brass internals, which can corrode and weaken when used with e85. The difference in the DWR2000? It is ideal for the 750 HP to 2000 HP range and able to handle 1000 LPH of flow. It comes in your choice of anodized black or titanium finish and has two -10 AN ORB inlets and a -8 AN ORB outlet. An optional 0-100 psi mechanical gauge is available. To celebrate the release, DeatschWerks has done a limited run of DWR2000’s in anodized DW Orange. For more information see our web site. DeatschWerks (DW) is a manufacturer and supplier of premium aftermarket performance fuel injectors and fuel pumps to wholesalers, dealers and at the retail level. DW provides application-specific fueling solutions – products designed to install directly into the vehicle with no modifications necessary. DeatschWerks product lines serve more than 100 vehicle models in both the import and domestic markets. DeatschWerks prides itself on industry-leading quality, innovation and meeting our customers’ needs. Established in 2005, the company is privately owned and operates out of Oklahoma City, OK. For more information about DeatschWerks, visit our website at www.deatschwerks.com.